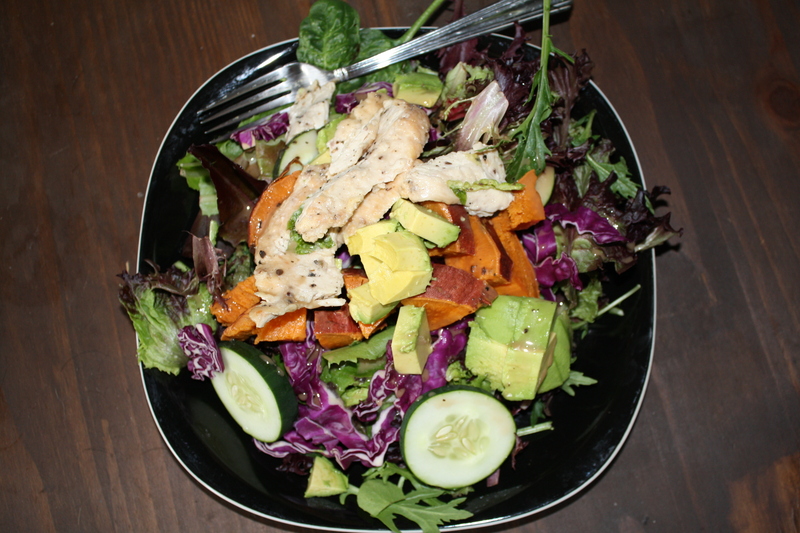 It’s been almost a week since I’ve written about my salad. I’m still eating them. They’re still beautiful. 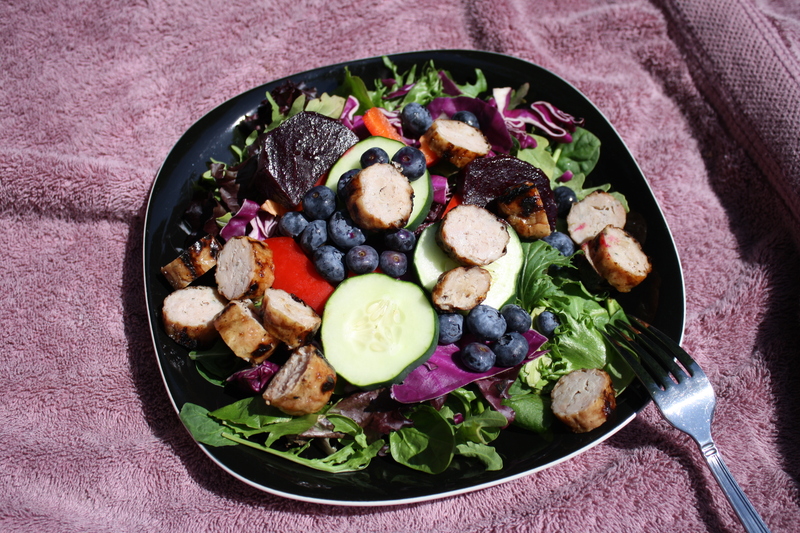 At least I think so… Spinach, baby lettuce, cucumber, cabbage, red pepper, blueberries, beets and chicken sausage. Up close and personal. The salad was almost as good as the spot in which I ate it.